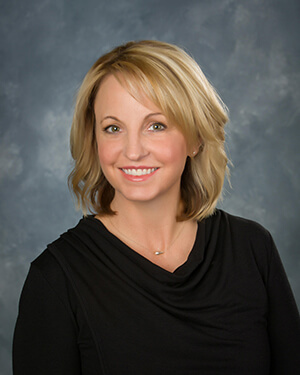 After earning a biology degree from the University of Central Oklahoma, Dr. Guthrie pursued her Doctor of Dental Surgery at the University of Oklahoma School of Dentistry. She worked as the chief dental office of Kickapoo Tribal Health Center (where she was awarded the Health Director’s Award of Excellence for Outstanding Medical/Dental Practitioner of the Year in 2002) before moving on to open her own private practice in July of 2007. Today, Dr. Guthrie continues to pursue over 50 hours of continuing education annually in a wide variety of topics, including esthetic dentistry, endodontics, oral pathology, cone bean radiology, pediatric care, sedation dentistry, and removable prosthodontics. She has also completed the coursework at the word-renowned Las Vegas Institute for Advanced Dental Education and is currently a member of the American Dental Association, the Oklahoma Dental Association, and the OMS of Southern Oklahoma Study Club. Her favorite part of her work is helping people achieve and maintain health and confidence in their smiles! Dr. Guthrie is married to Gary Guthrie and has a 14 year old daughter named Emmy. She considers dentistry her biggest hobby and spends a great deal of time away from work reading about and researching related topics. She also enjoys going to church and watching her daughter play softball all over the country in tournaments as a pitcher for the Oklahoma Force Softball organization.